CottonOn & Co. 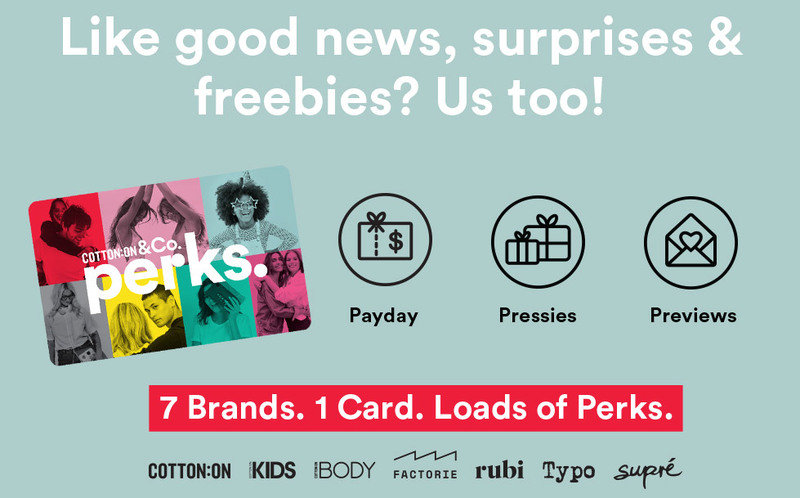 Perks members receive a $10 welcome voucher*, perks Payday vouchers, Pressies, Previews & exclusive offers via email. Fill this out for your Birthday rewards. Speed up checkout by creating an account! Simply add a password now!